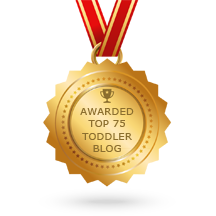 Meltdowns and Tantrums - Joyful Toddlers! I love love your blog and reading it often as I have a newly 3 year old and a 9 month old at home. I have a questing regarding whiny and near constant meltdowns with my 3 year old. We found the 2’s to be very easy, not terrible at all but have found the 3’s to be very challenging so far. She is extremely whiny and almost everything results in meltdowns and tears. I for the first time, am finding myself NOT enjoying my time with her and that makes me sad. Just this morning she didn’t want to get dressed, I gave her a 5 min and a 1 min warning and then when it was time she yelled “no” and cried. Then she said she wanted raisins, I brought them to her and they were the wrong kind, more tears. You get the idea. I would love any suggestions on how to deal with this and work her through it. Thanks in advance for your thoughts how on how you deal with this type of behavior. Today I’ll write some about dealing with meltdowns and tantrums. I’ll talk first about meltdowns from over-stimulation, then I’ll get on to what you’re talking about in your letter. I’ve seen a lot of popular literature that suggests walking away, time-outs, taking away toys or privileges, etc. But I don’t agree with most of them. I think that meltdowns and tantrums are generally a cry for more support, and so withdrawing your love/attention/support is the last thing that your a child needs. However, “support” can take many different forms, and giving in to children over and over again, or “doing anything” to placate them, is NOT giving support to a child. Supporting them means helping them learn how to regulate themselves and their emotions. So how can you provide the support that a child needs in order to minimize meltdowns and tantrums? Often, meltdowns and tantrums are a child showing you that he or she is overstimulated, tired, hungry, or uncomfortable. The obvious answer, of course, is to try and keep your child well-rested and well-fed, and don’t go to the grocery store right before naptime. However, despite our best efforts, these things happen. If you are out shopping, for example, and you can see a meltdown starting to brew, our instinct is to rush as much as possible, to try and get out before the storm breaks. However, children have a very low tolerance for rushing, especially when they’re tired or hungry. Instead, try this: “You look like you’re really ready to go. I can see that! You wish we were going home right now. Let’s find a quiet place to snuggle for a few minutes.” Find a corner or a bench or somewhere where you can take your child onto your lap and just pour some love and support into him. This undivided attention helps your child reconnect with you, and gives him the space he needs to regulate himself. You might tell him how much you love him, or tell him a story about when you were a little girl and used to go shopping with your mom; anything to let him know that all of your attention is on him, and you are there, creating a safe space for him, within your arms. After a few minutes, when you feel him start to relax against you, you can say, “That was a really nice snuggle. In just a minute I’ll put you back into the cart, we’ll get our last few things, then we’ll stand in line, we’ll pay for our food, and we’ll go out to the car and drive home. Are you ready for that?” By being very specific about how things are going to go, you can help him prepare himself for the rest of the trip. Usually then a child will be ready to face the world again; if he’s not, give him a few more minutes of love, with the feeling that there’s all the time in the world. When it’s actually time to move on, use a nursery rhyme or song for your transition, instead of talking or convincing. I love the rhyme/song “One, two, buckle my shoe,” because it’s very rhythmic and quite long. On the other hand, sometimes when a child is going through the process of individuation (like the child of the mother in the letter above), a child can’t agree with you on anything. Nothing is right, everything becomes a struggle. In this case, again you want to form a strong, supportive boundary around her, to help her learn to regulate herself. First, it’s good to know that while children are going through growth-spurts they often need more sleep than they needed in the past, so try putting her to bed half an hour earlier. Next, you want to empathize with her while at the same time teach her how to express her dissatisfaction in a way that is acceptable (this is an important part of self-regulating). Teaching her how to express herself in a way that’s acceptable generally involves saying what you wish she were saying, in the tone that you wish she were saying it in. If you remind her that it’s time to get dressed and she screams “No!” You might say, “Mom, I’m not ready to get dressed yet.” Most of the time, a child will repeat your words, in exactly the tone you use. It’s amazing how a child can go from an angry tone to a pleasant one in an instant, through imitation. And it’s amazing how well it works. If she doesn’t, you can repeat, “You can say, ‘Mom, I’m not ready to get dressed yet. '” Don’t force her to say it, just let her know what’s expected. Most of the time it works, like magic. Then you can respond. “Oh really? It looks like you’re having a fun time playing, huh. What are you playing?” Then matter-of-factly start getting out her clothes and help her dress while she’s telling you. Children are often fine doing something that they’ve been saying “no” to, if you just stop talking about it. Remember, children often need your physical/emotional support to do tasks that they are capable of doing alone on their best days, probably until they are five or even later. When your child asks for something and then it’s not what she wanted/expected, there are a couple of things that can help. For example, with the raisins: you offer them, and she cries, “No, no! Not those raisins!” You say, in a pleasant voice, “Mommy, not those raisins, please.” She may or may not repeat. You say, “Oh, you want different raisins? Tell me!” She says, “Other raisins.” You know that there are no other raisins, but you don’t say that. Instead, you say, “I don’t know if there are any others. Let’s go down and look in the cupboard together.” Often, getting a child into motion is enough to diffuse a situation and move out of “No” land. Motion works better than words. But if nothing will soothe her and she begins to cry, don’t try explaining. Don’t tell her that there are no other raisins, don’t tell her that all the raisins are the same, don’t try to bribe her with something else. Simply be compassionate. “You wished you could have the raisins you want, but there are none. That’s a big disappointment.” Give her a hug, and after a moment, move on. Yes, it is absolutely hard work to keep your pleasant demeanor when your child is being whiny, or disrespectful, or demanding, over and over again. It is hard to model the pleasant tone/behavior that you want her to imitate, especially if she’s pushing your buttons. So what to do? One thing I do when a child feels challenging is this: a child exhibits a challenging behavior (such as demanding raisins and then crying because they’re not what she wanted). I take a deep breath and imagine stepping backwards into what I refer to as my “Goddess Space.” I know/imagine that my back-space is filled with the Goddess spirit, and when I step backwards into it, I reconnect with that energy. When I’m there, I can dis-connect from the things that push my buttons. I don’t have to take things personally. From the Goddess Space I can see what this child needs in order to grow, and what kind of support she needs in order to learn to regulate herself. And often, then, I can do it from a place of compassion. Sometimes, no matter what you do, you can’t head off a tantrum. In that case, it’s time to step into your Goddess Space again. Again, you want to provide compassionate support for your child. I usually do this in two ways: first, I do it by imagining that I’m setting an energy-field around the child. It is like a soft, firm wall that keeps her safe. Second, I think to her, “I see that you are out of control, but I am here, and I will keep you safe and help you learn how to stay in control of yourself.” I don’t say this out loud, buy I think it. Then I will sit quietly nearby, thinking these thoughts and waiting for her to calm down enough to be comforted. If the tantrum goes on for more than a few minutes, I can tell that my presence is not calming, so I will go into another room or another part of the room, and begin doing other things. “I’m going to wash the dishes,” I’ll tell her, “But when you’re ready for hugs and kisses, I’ll be ready too.” Then I’ll go and wash the dishes, but I’m still surrounding her with my protective energy. Usually this is enough to help a child begin to calm down. When a child sees that you are calm and supportive even when she is out of control, it helps her feel secure. Good luck! And don’t worry if you can’t find that Goddess Space every time. Each new meltdown is a new opportunity to practice it. I needed that today…thanks! I wish I could always find my Godess Space. It’s so nice to know I’m not alone working on these parenting values. I just found your blog by Google searching meltdowns. My 2.5yo has changed. She’s having huge dramatic screaming meltdowns over EVERYTHING. The only thing to calm her is getting what she wants or eventually accepting my love and comfort, or pacifiers. Which we don’t want her to have her pacifiers anymore but they stop her very dramatic meltdowns instantly and help her gain composure. She used to be easily distracted away to something else in the “no” moments. Or if she’d start a tantrum I’d say “do you need a hug” and it’d stop wit a hug. Now it’s all just no no no no and screaming and hitting and kicking and pulls her own hair and hits herself until she eventually accepts a hug and comfort or her pacifier. I need help! I’m starting to question her sleeping and eating habits if something went wrong! She is fighting bedtime these days and we recently quit nursing. Randi, Thanks for writing. Two-and-a-half is often a time of big developmental shifts, when things that were working fine, suddenly stop working. This is a time when kids suddenly need MORE: more structured activities, more ways they can help and be “big,” more clear boundaries. They are no longer floating along like the littler toddlers do. One part of this is that they have big floods of emotions that they don’t have experience dealing with, which is what it sounds like your daughter is experiencing. It’s very important that you let her know that 1) Her big feelings don’t scare or overwhelm you, and that 2) She will learn how to get herself under control, and you will help her. You staying calm is an important piece of this! If you want some one-on-one support, I am available for phone calls; send me an email through the “contact me” form and I’ll get back to you. But don’t worry. You will help your daughter get these big feelings under control, and she will go back to being the sweet girl that you know. And—good for you for looking at sleep and food; those DEFINITELY affect toddlers’ abilities to be resilient. When kids are going through growth spurts or developmental leaps, they often need more sleep than they did in the past. Try putting her down half an hour earlier and see if she continues to sleep till the same time in the morning. This may help to ease things considerably. Meltdowns and Tantrums – Joyful Toddlers!